New styles to wear are now available to at U.S. Ann Taylor stores. 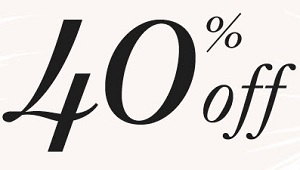 Take 40% off full-priced styles. Plus, take an additional 60% off sale styles. Offer ends 08/01/2015. Source of the information is Ann Taylor. More information at Ann Taylor stores.